Today we are going to be talking about the MJX Bugs 5w drone released in 2018. This is a hot ticket item this year and will be for sometime! And guess what orders are already taking place right now! 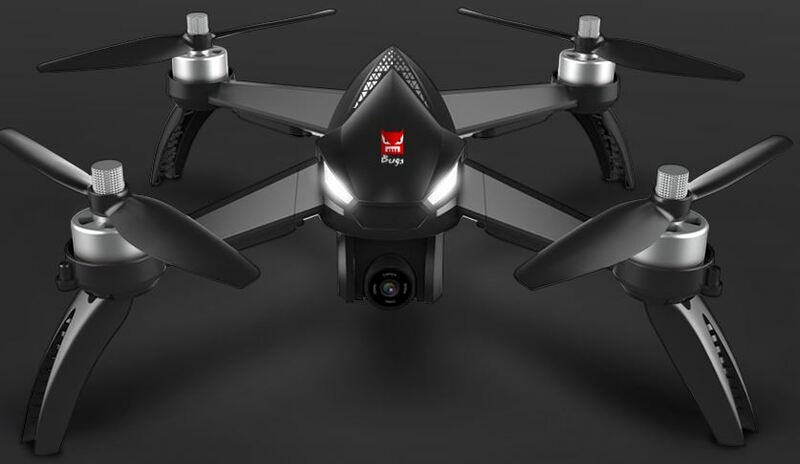 This drone gives amazing aerial photos and videos in 1080p ! With those wonderful shots you can send them straight to your cell phone with the 5G WiFi that is enabled on the drone. You can easily upload your photos to social networking sites to show your family and friends. This drone can almost do anything, except pilot itself. That is where you come in. Soar through the sky getting to see the area around you. So, you are looking for a drone, we will discuss and find out if this drone is for you. Lets take a quick look at the important specs of the drone below. Who is the Bugs 5W For? Beginner pilots and intermediate pilots alike will enjoy the MJX Bugs 5w drone. 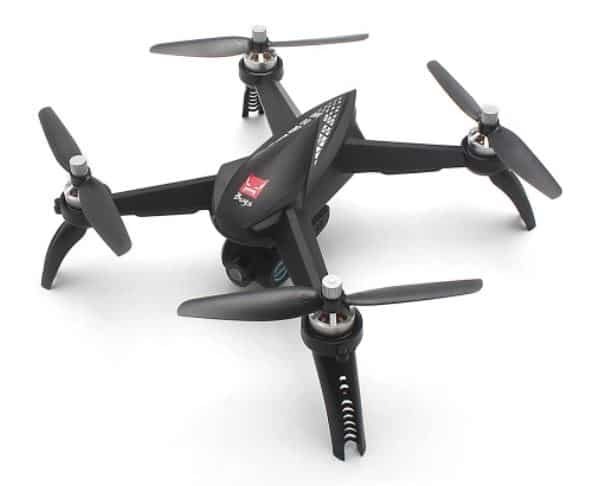 This drone is an adult drone, it is not recommended for children under 14 years of age. The MJX Bugs 5w drone has some cool capabilities like follow me, and circle me. Great for use at a festival, outdoor wedding event, or like I did for a family reunion. Our family reunions can get very big. By flying the drone up, I could get us all in the photo! Normally it is a big ordeal to get a huge family in the picture, but not with the drone. Taking the family photo was taken in a matter of seconds and we were finished. With the photo going straight to my cell phone it made sharing the photo so quick on our family blog. 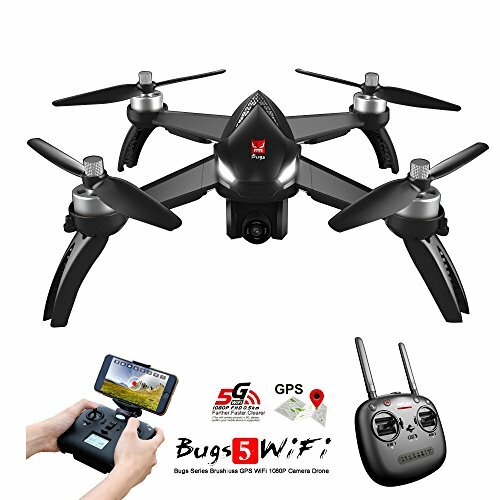 There is a caution for this MJX Bugs 5w the pilot must have a cell phone capable of 802.11 AC Wi-Fi to work with this model. So, check out your phones prior to purchasing this drone. Last thing you would want is to buy a drone and not be able to use it! Now if you are not technical or you want to have something to just snap a photo; you do not want to have a camera that can move. The camera does not have night vision, that would need to be a camera upgrade. If you just want a basic drone, perhaps one of the other MJX drones such as the MJX 3H quadcoptor, MJX Bugs 2W or the Bugs 3 Mini would be more in line with your tastes. When you first take your MJX bugs 5w drone out to fly you will have to bind the controller to the drone. That is just a fancy way to say you are opening the communications between the two. So, the drone can receive the commands from the transmitter you will be using. Do not worry it is not as complicated as it may sound. To do so you just hold down the red lock button, while you switch the controller from the off position to on position. Then you slide your battery into your drone's battery compartment. Do not forget to lock the battery in to place. After you have completed the binding the first time it should automatically connect for future trips. You may have to calibrate your drone at this point as well. This you will need to read the manual, but you will turn it a few times in one direction. And then point it in the downward position and turn it a few more times. Now put the drone on your launch pad. Please do not try launching the drone in your hand. Once you are bound and calibrated you can press the upper left button it has two arrows, one pointing up with a line over it and the other pointing down with a line, this is the one key take off / landing button. Or you could use the left controller knob for your throttle. The MJX Bugs 5w drone has an app available through iOS and android devices, called “Bugs Go”. This is where the cell phone with 802.11 ac WIFI capabilities comes in at. You will want to download this app to operate different settings and to see from the wonderful view in real time. Make sure that your Wi-Fi on your phone is turned on! Some people buy the virtual reality head sets and soar the sky looking through it. I must admit that I had never thought of using a virtual reality head set until I saw someone on YouTube. I tried and it does give you a different perspective. Work your way up to that though, not something to try while you are learning. The follow me and circle me are self-explanatory. Follow me, the drone will follow you. With the follow me feature some people have been having complaints about lag in the video. The reason this occurs is because the drone is following you based off the GPS coordinates. When you are walking your GPS is sending the information to the drone, thus causing the drone to need to adjust. If you are walking at a slower pace this helps combat that problem. If you are trying to run with the drone following you, it may have a jittery effect on the video. The follow me feature is helpful if you are walking through a congested area. The circle me feature is a pretty fun feature and makes the video look awesome. The drone soars through the air and circles around you. With the Bugs Go app you can set the distance you want the drone to circle you in. The distance can be changed at any time, it is not fixed to the position. You could a start small and get larger with the circle me feature. Or start out far and come in, either way you will like it. The altitude hold mode is much better than earlier models. The precision of the hover makes taking your photos and videos a lot more stable. Thanks to the advances in the GPS it makes easier for the altitude mode to hold instead of having to do it manually. Now that you are done taking the drone out let’s talk about bringing the MJX bugs 5w in. Do not stress over your drone going out of range, because with the MJX Bugs 5w model it has an alarm beeping system and a return feature. It will automatically come back. That is the same way with battery life, if it starts to get low it is going to come back. When you are done piloting your flight its so easy to have it return, with the one push return button. Using your GPS the drone comes right back and all you have to do is wait. There is a good YouTube video on how to fly the MJX Bugs 5W. The return to home feature is especially needed, which the MJX Bugs 5w has. When you press the return to home button the 7 satellites your drone is fixed on will start coming to you using your gps coordinates automatically. Now you can switch it to manual return to go around obstacles. Best to avoid hitting objects. You can always cancel the return to home feature simply by pushing the button again. The failsafe feature will have the drone start returning to you automatically if the transmitter loses signal for longer than six seconds. The drone will go back to where you first launched it. Again, once it comes back into signal just press the return to home button to cancel that feature. The failsafe feature is a great function that was added. It is no fun trying to find your lost drone. The last return to home feature is low voltage. So let us say you are having a ton of fun, and you are not keeping an eye out on your battery. As you can predict it is going dead, and starts to beep at you. Do not stress the low voltage return to home feature will kick in. You will hear the beeping coming from the transmitter, just so you know the low voltage return to home has started. The drone will come back where it was launched at. This feature is nice because it always leaves you just enough battery to keep your drone from falling from a high distance. The low voltage feature really does save your investment of a drone. Having these return to home features really helps you from losing or breaking your drones. They have help you from having to keep sending money from losing them, or the drone crashing in the field. The advantages of having a brush less motor is it works better. It weighs less because it has less parts. The parts in a brushed motor cause friction and heat. Since it has less parts, it creates less friction. This keeps your drones a lot cooler. With the brushless motors you are being more efficient with your power. Who does not want more power! The MJX Bugs 5w has an advanced breaking system installed on the electronic speed controls. Each electronic speed controller is in each one of the motors. This gives you precision breaking control. Since you have four motors that gives you four entire breaks, this is how you get to have the precision breaking control. Some of your cheaper models do not have this, they only have one. Which gives you some videos that could be very unsteady. You will have a blast with this model, but like everything else there are others. Let us check them out! 1. Make sure your cell phones GPS is in the on position. 2. Remember initially you have to bind the MJX Bugs 5W, and have it calibrated. 3. Do not forget when you slide the battery into place to also lock the battery compartment! 4. Remember to check out your local laws and ordinances. 5. Read the manual before you take your first flight. 6. Keep your drone in your line of sight. 7. Pay attention to your surroundings, and the surrounding of your drone. 8. Make sure you bring your extra parts in case you need to fix something in the field. 9. Practice a lot indoors before you adventure outdoors. The wind can be very tricky starting out. You will be glad you practiced a lot if you run into a problem. 10. Check to see if your drone is in working order before you go out. It always seems like it is something so small that you over look, that messes up. A ton of people have a preflight checklist that they go over before their flight, just like commercial airline pilots. Can you change out the battery with the older Bug models? No the MJX Bugs 5W drone has its own battery that is not able to go with the later model drones. Does the drone have follow me? Yes, you can access this feature with its app. Does this drone have a SD card slot? Yes, put the card in and fly! Yes, registering drones started in 2003 with the Federal Aviation Administration (FAA). If you have the drone already you can click here to register your drone. The FAA says not to fly it higher than 400 ft. You can check out this article for more information. Can you use a rug as a landing pad? Yes you can it will keep it clean, but you do not get the stability. Should you practice indoors first? Yes in a large room. Can I watch youtube videos to help me learn to pilot a drone? What degree can the camera go on the one gimbal? Well the camera on the one gimbal can go up to 90 degrees. Can you add more gimbals to your drone? Can a GoPro be added? No with the camera feature already on the drone you cannot add a GoPro. Well at least not without some serious modification. That is a big no no. Do not do that. If you are going to be within 5 miles of the airport you need to notify the airport and the air traffic control tower prior to flying the drone. Can you fly two drones at once? Can you, yes. Should you, no. That is not a good idea. You could have some action-packed fun shooting up through the sky with your new drone. If you are an avid photographer, a runner, into action sports you would benefit from a drone. Let the people see your world! The MJX Bugs 5W is a great drone for the young adult pilot up to the experienced pilot. 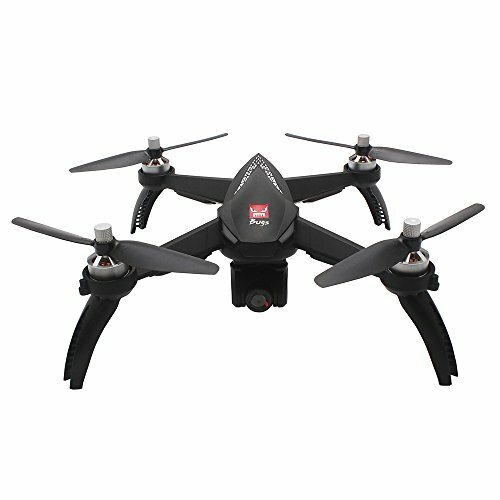 Since it is not as big as the pro series it is a great drone to easily carry out on family events, hiking, just about anywhere. 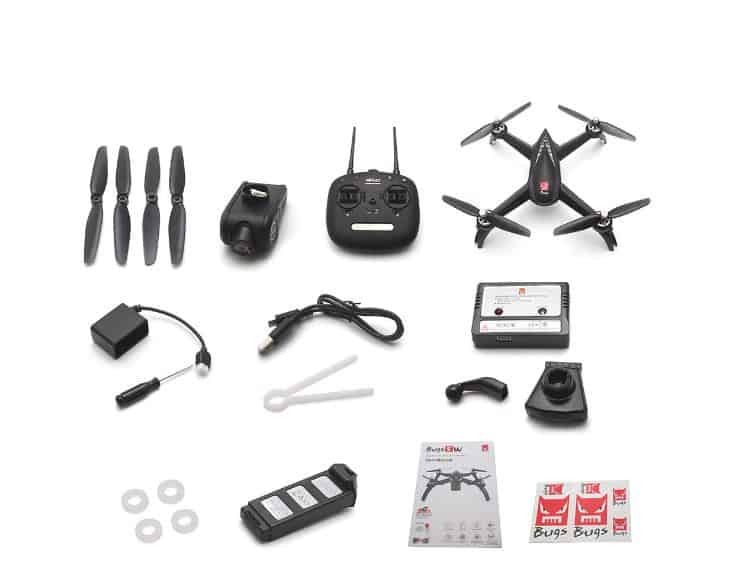 If you want something that is not very complicated and heavy like a pro series drone, yet not a child's toy this is a good fit for you. You can get some amazing shots and videos to post online or show your family and friends. The MJX Bugs 5W is a hot item since its was recently released this year. Being so versatile makes this a great value for the MJX Bugs 5w. You are getting a ton of functions and power for a fraction of the cost. Now all you must do is figure out what your needs are for a drone to choose the right one for you or your family member. Do not forget to have fun and be courteous to your other drone users. Also, please respect the privacy of others when piloting your drone. Thank you for reading! If you would like to learn about more topics our web page is full of great articles. Click below to check reviews and see the latest price on the Bugs 5W at amazon! It means for most of us, we need a new 802.11ac phone. What the maximum size of cell phone the phone holder can take? 7″, 6.5″, 5.5″? The MJX Bugs 5w phone holder will work for phones between 5 inches and 6 inches.